A major trend in the real estate world is the wooden garage. Attractive and a little more costly than metal models, people are viewing it as an investment for multiple reasons. Most people will ask how much they cost and leave it at that (between $800 and $5000 on average, depending on size, style and customization). But there are some other things you should really know before you get one of these lovely structures. 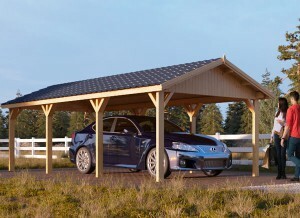 The first thing to keep in mind is that wooden garages don’t stay naturally cared for. With metal walls you are pretty much only obligated to occasionally wipe them down to keep pollutants and allergens at bay. But a wooden wall needs some more maintenance to make sure it remains in top condition. Every three to five years you will need to restain the wood to keep it healthy. This keeps the wood from rotting, warping, chipping or getting gaps between the logs. This usually costs between $500 and $2000 depending on the size of the garage, which homeowners might balk at. But when you consider how infrequent it is needed, you can see that it is a worthwhile investment. Especially given the many benefits of having a wooden garage versus other styles. You may also want to wash the walls more often, as dirt build up can wear down wood faster. 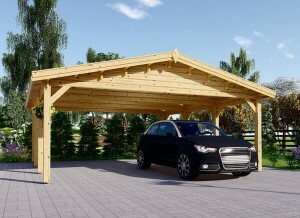 One of the best things about a wooden garage is the value factor. 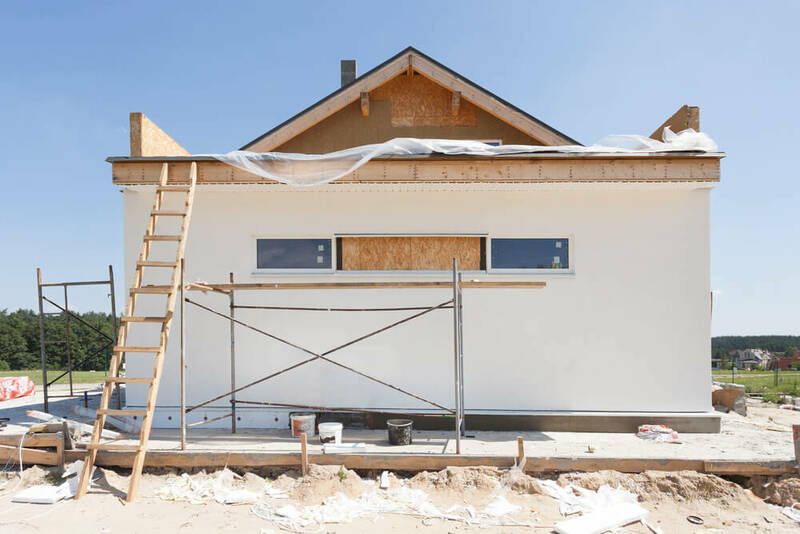 Homeowners are always looking for ways to improve their home’s value, not least because of the current problems with the housing market and how much of a hit some houses have taken since they were originally purchased. Anything that can be done to up its estimate, whether you are thinking of selling or not, is a bonus that is worth looking into. Because value is exponential in growth, try and look at your investment as a long term one. How much will it add in five years? Ten? Twenty? Do you think it will overshoot the costs associated with upkeep, such as the occasional restain? The answer to that is almost certainly yes. An option you can customize is the type of wood that you use. 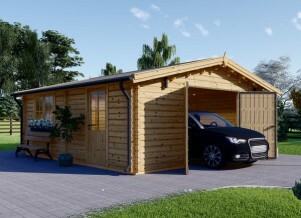 There are three primary types that you find in most wooden garages. The first is plywood. You will recognize that type as the wood that people in karate use to demonstrate their ability to break planks with their hand or foot. You might imagine that it isn’t that sturdy, but it is the cheapest and can be reinforced with another type of wood paneling if you want it to be sturdier. Second you have cedar, which is perfect for more humid climates. It is nice and resistant to wetness, whether that is from rain or just what lingers in the air. It is less likely to warp, swell, split or rot, all of which are major concerns if you are certain regions of the world. Plus, it has a nice lumber small that can be pleasant and help cover other odors found in garages, like exhaust or chemicals. Last you have redwood, which is the most expensive of the three. 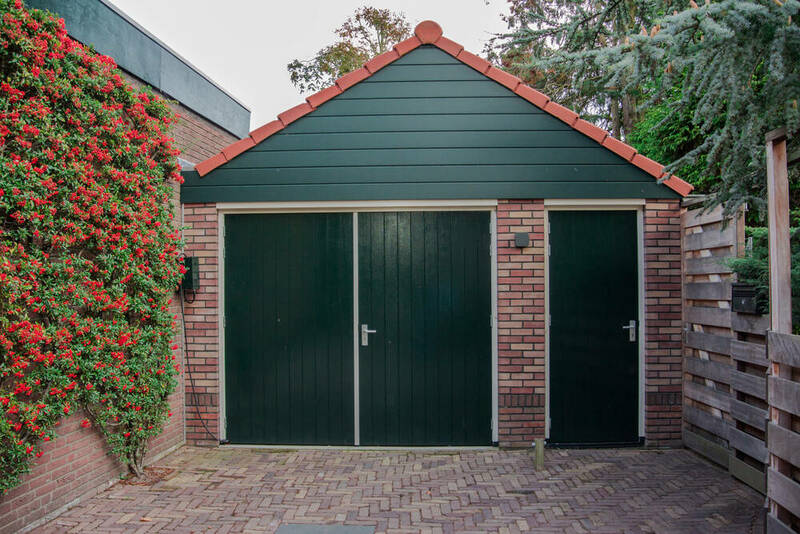 It isn’t used as often for walls because of its rarity and price per square foot, instead used more for doors with cheaper wood or metal sheets being used for the rest of the garage. 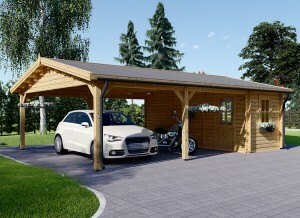 But if you are willing to pay for it, you can get a customized wooden garage using redwood. Wood unfortunately attracts pests more than metal does. When you think about it, it makes sense. 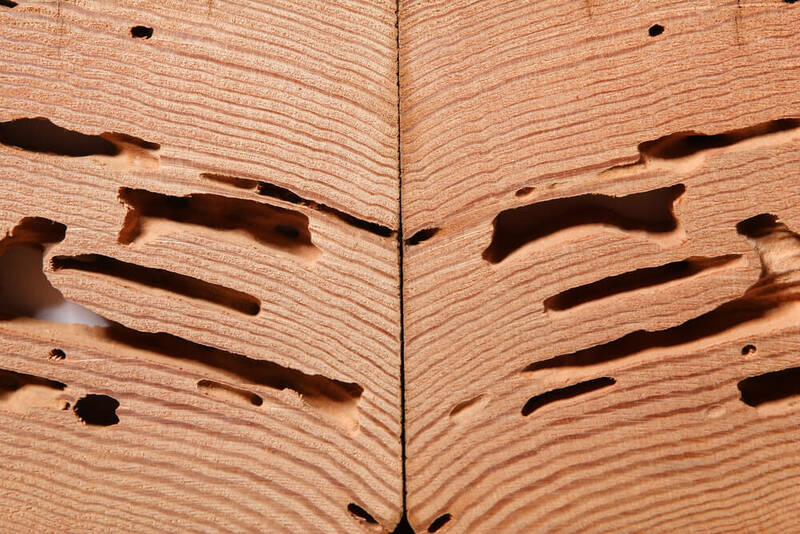 Wood provides an earthy smell, holds warmth better and some pests, like termites, even feed in it. Others, especially small mammals or birds, may view it as similar to a tree and attempt to burrow in. Thankfully it isn’t hard to keep them at bay. You have to be watching for signs of infestations so you can nip them in the bud. Do your usual upkeep to make sure gaps and holes don’t form that allow them inside. Keep your garage clean. Once a year spray for insects and arachnids. Lay down traps if you suspect mice, rats, raccoons or other little critters are coming into your garage. If you are diligent you shouldn’t have any issues. It is the middle of winter and you are trudging out into the garage to get some work done on a project. Wouldn’t it be nice if it wasn’t frigid the entire time you are in there? Most people who work in their garage will get a heating source, like an electric heater or even an old stove. But that isn’t too helpful if the air is escaping through the wood panels, is it? Extra insulation in the walls is a fantastic way to trap in heat or cool air to make it a nicer place to be year round. Even if it you don’t spend much time in there, having more insulation can protect your car, tools and other items from becoming too cold and freezing over. This might not be an option for people who already have a garage. In which case you may want to consider an external insulation method that does the same thing but without having to get inside the wall to put it in. It is great for sound proofing, too. Did you know you can get a wooden garage for a fraction of the cost, without having to go through much of a hassle with construction? It’s true! Prefabs make all the parts for you then ship the straight from the factory. Hiring a contractor to do a prefabricated wooden garage costs much less than building one from scratch. Plus, you can fully customize it to your specifications before sending the plans off to the factory.